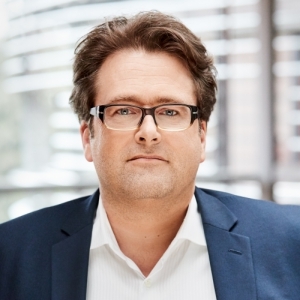 Christian von den Brincken (49) studied Applied Geography, Touristic Management and International Relations in Trier and received his graduate in 1995. He started his career as Sales Manager at Nielsen Single Source and is credited as the creator of the Single Source Tourism Panel. Two years later, Christian started at Initiative Media as Research Manager. After one and a half year he became the Director of Strategic Information Services and after two more years the Managing Director. Looking back at eight years at Initiative Media he decided to enter a new stage of his career and started at MediaCom, Germany’s leading media agency. He there managed the department Research, Key Account Planning (for Deutsche Telekom, Hasbro and Seat) and Business Development for nearly six years. Currently Christian is the Managing Director of the Corporate Strategy & Innovation department at Ströer. Previously, he was responsible for business development until 2017. Before taking this role at the beginning of 2014, he was responsible for Marketing and Strategy at the Ströer Sales & Services GmbH.